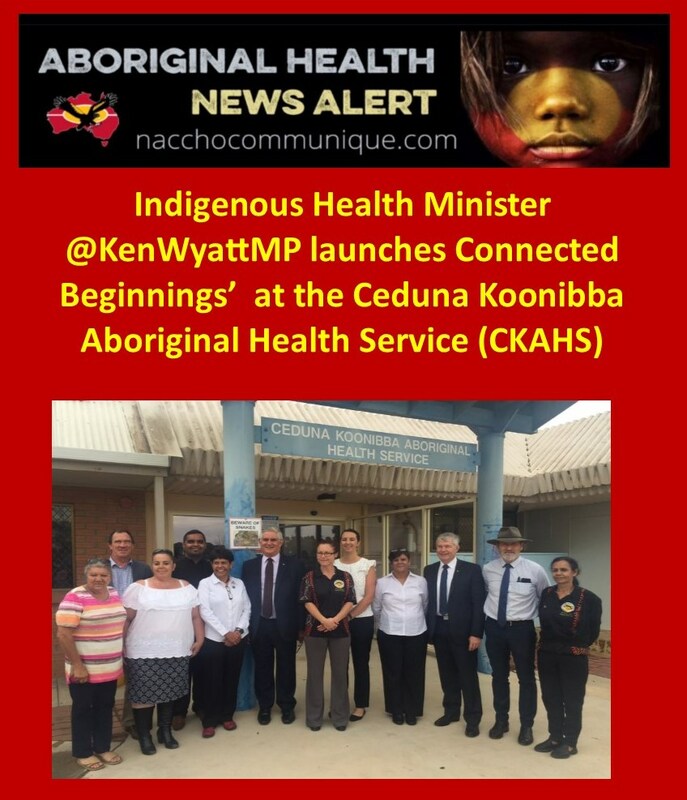 I encourage all families especially mums and dads, to bring their babies and children to Ceduna Koonibba Aboriginal Health Service to be screened, and they will be followed up with specialists, where and when necessary. CKAHS chief executive officer Zell Dodd said they had received federal funding last year and once they were able to secure staff with specific skills to work on the program it commenced. “The first five years of life is a critical time that ultimately helps shape every child’s future and is fundamental to closing the gap in health equality. Ceduna families are benefiting from a program linking health care and early childhood education. 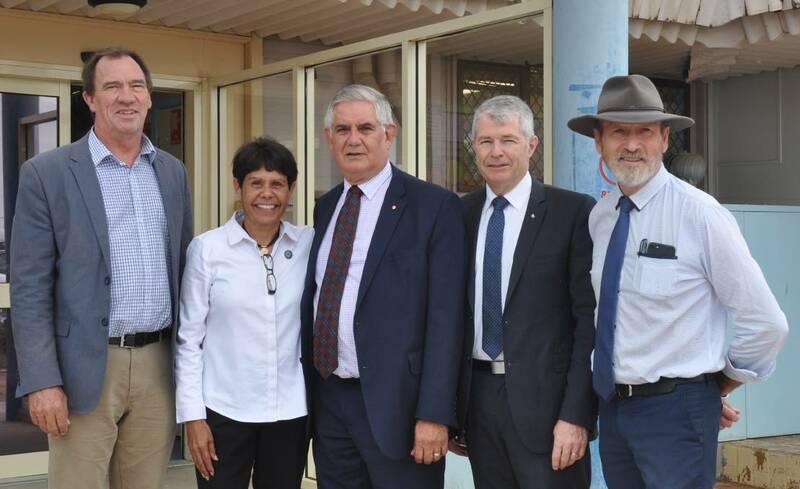 The ‘Connected Beginnings’ program was officially launched by Indigenous Health Minister Ken Wyatt today at the Ceduna Koonibba Aboriginal Health Service (CKAHS), as part of a national rollout, where it has been helping to build better, stronger lives. The federal government has committed $12 million over three years from the Indigenous Australians’ Health Program to implement the health component of Connected Beginnings, plus around $10 million per year from the Community Child Care Fund to support the education component. Through Connected Beginnings, Ceduna Koonibba Aboriginal Health service provides health checks to women, babies and children up to school age. “This means mothers and children in this community are being referred to specialist services including paediatricians, ear and eye specialists, dentists, occupational and speech therapists and dieticians,” Minister Wyatt said. Ms Dodd said the program was designed to regularly screen to pick up any health concerns early on that may impede on learning capabilities. “We work in partnership with Ngura Yadurirn Child and Family Centre, who are the lead agency in Ceduna for this program,” she said. “We also work very closely with the Ceduna District Health Service management, in particular the Aboriginal Maternal Infant Care (AMIC) worker, Aboriginal Patient Pathway Officer and the Step Down Manager. Senator for South Australia David Fawcett welcomed the extension of the program to Ceduna. “Wrapping services including early childhood education, maternal and child health, and family services helps families now and will help generations to come,” he said. Federal Member for Grey Rowan Ramsey congratulated Ceduna Koonibba Aboriginal Health Service and Ngura Yadurirn Children and Family Centre for their leadership and dedication to give local children the best start possible. Run jointly by the Department of Education and Training and the Department of Health, the program is also underway in Alice Springs, Tennant Creek, Galiwin’ku, Port Augusta, Mildura, Doomadgee and Doonside, along with a health-only program in Canberra. Opportunities are being investigated to establish the program in further locations. Ms Dodd said CKAHS also had other complimentary services on offer such as the social and emotional wellbeing team and the environmental health team, with an individual or family able to be referred to these programs for additional support. “It is essential that Ceduna’s expanded holistic service model embraces everyone, and we continue to work consistently together to support our families who may be experiencing other challenges in their life,” she said.